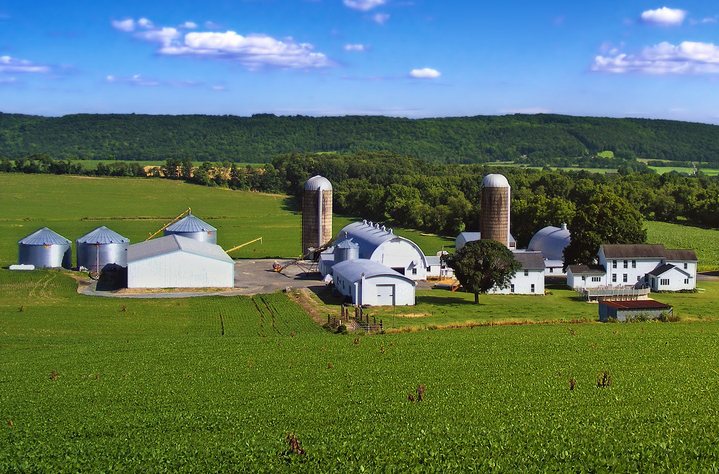 According to the 2007 Census of Agriculture, there are more than 10,000 farms in New Jersey, covering 733,000 acres. The amount of land in farming has decreased by 9 percent since 2002, when it was 806,000 acres. New Jersey ranks 40th among the 50 states in total value of agricultural products sold. It ranks only 46th in total land area, so its agricultural output is greater than might be expected from its small size. 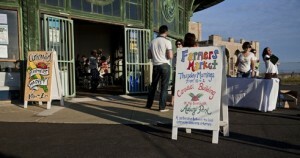 The market value of New Jersey’s agricultural production increased by 32 percent between 2002 and 2007. New Jersey is the most developed state in the nation, sometimes causing its “Garden State” nickname to elicit ridicule from observers both inside and outside the state. Indeed, some of the commodity-group data from the 2007 Census of Agriculture reinforce the stereotype of New Jersey as one giant suburb. The “crops” for which New Jersey ranks much higher in production among the 50 states than its small size would suggest include a 9th-place ranking in “Nursery, greenhouse, floriculture, and sod” and a #22 ranking in “Cut Christmas trees and short rotation woody crops”; these two sub-categories might more accurately be described as “landscaping for subdivision homes.” (Cumberland County, NJ ranks 5th among the nation’s more than 3,100 counties in acres in production of nursery stock.) And on the “livestock” side, New Jersey ranks 9th in “Horses, ponies, mules, burros, and donkeys,” most of which, as a drive around Colts Neck would suggest, are probably not being ridden by cowboys. (Monmouth County is the 7th highest-ranking county in the U.S. in sales of horses and related animals.) These industries technically qualify as agriculture, but they function more as support industries for residential development. Nonetheless, New Jersey can still lay a defensible claim to the “Garden State” title. While production of “agribusiness” crops – oilseeds and bulk commodities like corn, wheat, and soybeans – may be dominated by Midwest and Great Plains states, New Jersey tends to rank high in production of fruits and vegetables, things that are eaten directly rather than used as inputs for mass-produced consumer products. In other words, New Jersey specializes in the kinds of plants likely to be found in actual gardens. In terms of acres harvested, New Jersey ranks in the top 10 nationally for these fruits and “garden” vegetables: escarole and endive (2nd), blueberries (3rd), cranberries (3rd), fresh-cut herbs (3rd), peaches (4th), bell peppers (4th), spinach (4th), asparagus (4th), lettuce (5th), green onions (5th), beets (6th), cucumbers [fresh, not for pickles] (6th), squash (6th), radishes (7th), tomatoes (8th), sweet potatoes (9th), chili peppers (9th), and pumpkins (10th). Atlantic County in particular ranks 8th out of all counties in the country in acres in berry production, and ranks 6th in fresh-cut herbs. All of this fresh produce enables New Jersey residents to buy and eat many locally-grown fruits and vegetables. It also allows New Jersey farmers to earn a living selling these products for consumption in other states where they can’t be grown locally. To its credit, New Jersey has actively sought to protect its agricultural base. The state’s farmland preservation program has, since its inception in 1985, preserved 180,000 acres of farmland. On the other hand, 36,000 acres of farmland were converted to urbanized uses between 1995 and 2002, according to land use data analyzed by researchers at Rutgers and Rowan universities (see table on p. 15). While many view farmland preservation as a way to protect scenic views or thwart unwanted development, it is important to remember that preservation represents an investment in New Jersey’s continuing ability to provide its residents with a wide variety of locally-grown produce. It also represents a long-term commitment to maintaining diversity in the state’s economic base, preserving our capacity to supply markets in the rest of the country with certain crops that are particularly suited to growing here. The state continues to take steps to preserve its farmlands. On Tuesday, Governor Corzine signed legislation that sends an open space preservation measure to a public vote. This November, voters will decide whether $400 million in state general obligation bonds should be used to acquire land for recreation and conservation purposes, including preservation of farmland. If you have any questions about this issue of Future Facts, please contact Tim Evans, Research Director, at timevans njfuture org. For more information about our work, please click here. To become a member of New Jersey Future, click here or contact Dan Fatton at dfatton njfuture org or 609-393-0008, ext. 105.